The federal government shutdown the Marin Alliance in Fairfax – the nation’s oldest licensed dispensary – in 2011. The Bay Area woman who opened the first licensed medical marijuana dispensary in the United States might finally be allowed to reopen her business. 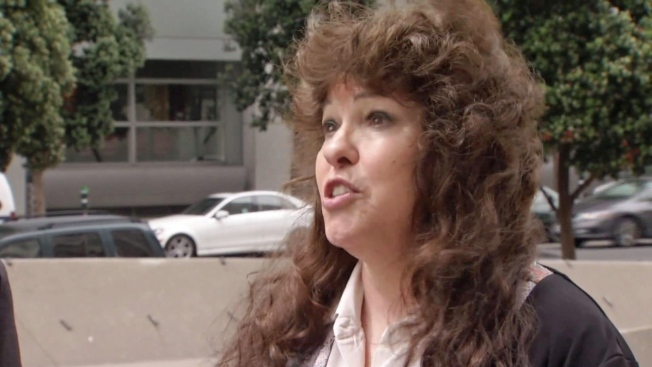 Eighteen years ago, when Lynette Shaw opened the Marin Alliance for Medical Marijuana in Fairfax, it touched off a legal battle with the federal government that is still going on today. In fact, Friday morning, it was back in federal court in San Francisco. “I’m the only licensed dispensary owner in the entire nation that’s barred for life from working in the industry that I helped create,” Shaw said outside court Friday. Shaw is still barred from reopening the dispensary the Obama administration shut down in 2011. Judge Charles Breyer granted the injunction against Shaw back in 2002 because distributing marijuana was – and still is – a violation of federal law. But, last December, Congress passed an appropriations bill with a provision expressly forbidding the Department of Justice from using federal funds to inhibit states from implementing their medical marijuana laws. Friday, Judge Breyer asked the government lawyers to explain why the Justice Department still wants the injunction against Shaw. “He basically said to the Department of Justice, ‘What the hell are you talking about?’” said Shaw’s attorney Greg Anton. Anton said he is feeling pretty good about his client’s chances of reopening her dispensary, and Shaw says the city of Fairfax is supporting her return. “I had a good relationship with the local police, the local government, the health services,” Shaw said. Based on area residents NBC Bay Area spoke with, Marin County’s medical marijuana pioneer seems to have continued support. “She was able to provide me with medicine so that I could eat, so that I could keep food down,” said Avis Walker, a cancer survivor. Shaw said the mayor of Fairfax asked the feds to remove the injunction so she can reopen her dispensary in a new location. Judge Breyer was the judge that granted the permanent injunction against Shaw about 13 years ago. He said then, federal law prohibits the distribution of marijuana, but he noted Friday that Congress made a new law when it cut off the funding for prosecuting medical marijuana cases. Judge Breyer’s ruling on the Shaw injunction is expected within the next few weeks.